Immigration SA has reopened its 188/132 State nomination application system from today. Clients are advised to put forth their EOI applications as soon as possible as places are limited. Note: Only applicants who have previous visited South Australia will be able to apply. 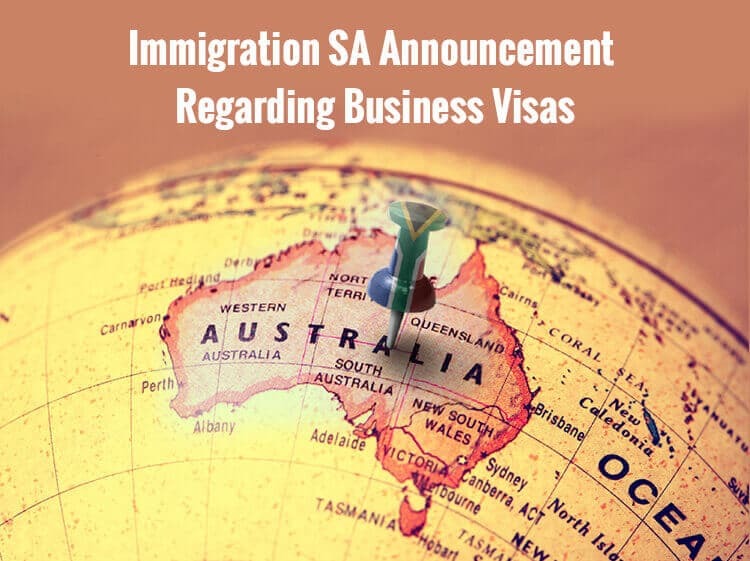 Subclass 132 visa holders currently need to meet export requirements of at least $600,000AUD of South Australian products or services (turnover value). From 01 July 2018, this value will be increased to $1 million if the majority of the exported product is wine. If you are considering migrating to Australia via the business visa pathways, please contact our office today!